Ability Software Consultants now use Adobe Creative Cloud 2014, including Adobe InDesign CC 2014 and Adobe Illustrator CC 2014. Ability Software Consultants are able to offer training and course documentation for Apache OpenOffice 4. Ability Software Consultants are able to offer training and course documentation for Microsoft Office 2013/365. Ability Software Consultants offer new RibbonX training course. Ability Software Consultants launch Word for Mac 2011 template service. Ability Software Consultants launch InDesign to Word conversion service. Courses and courseware in all applications and to all levels for OpenOffice.org 3.4 available now. Courses and courseware in all applications and to all levels for Microsoft Office 2010 and Microsoft Office for Mac 2011 available now. 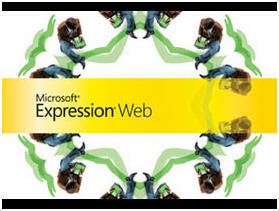 New web site launched built using Microsoft Expression Web and conforming to standards. Microsoft Expression Web is a new Web design and development application providing powerful tools for producing high-quality, standards-based Web sites. Expression Web has strong CSS support and takes full advantage of the power of ASP.NET 2.0 with integrated support for server and user controls. Ability Software Consultants are pleased to offer a new Microsoft Expression Web training course that can be tailored to suit the training needs of complete web design novices, experienced FrontPage users and others with relevant skills. Ability Software Consultants are pleased to offer a new course for Microsoft Office 2007 migration. The Carphone Warehouse roll-out OpenOffice.org across the globe and ask Ability Software Consultants to train their 2nd and 3rd line technical support staff and provide documentation for use in house . We can create PDF forms for on-line filling with Acrobat Reader only. Completed forms can be saved, emailed and printed. Courses in all applications and to all levels for Microsoft Office System 2007 available now. Training courses in all applications and to all levels for OpenOffice 3 and StarOffice 8. Following their recent purchase of SUSE LINUX, Novell are migrating all staff worldwide from Microsoft to SuSE Linux running the Novell Linux Desktop (NLD) and OpenOffice. Ability Software Consultants have provided OpenOffice training for staff at the UK headquarters in Bracknell and at other European offices.